We are so excited today to share with you the interview with talented designer Adam Zohar! 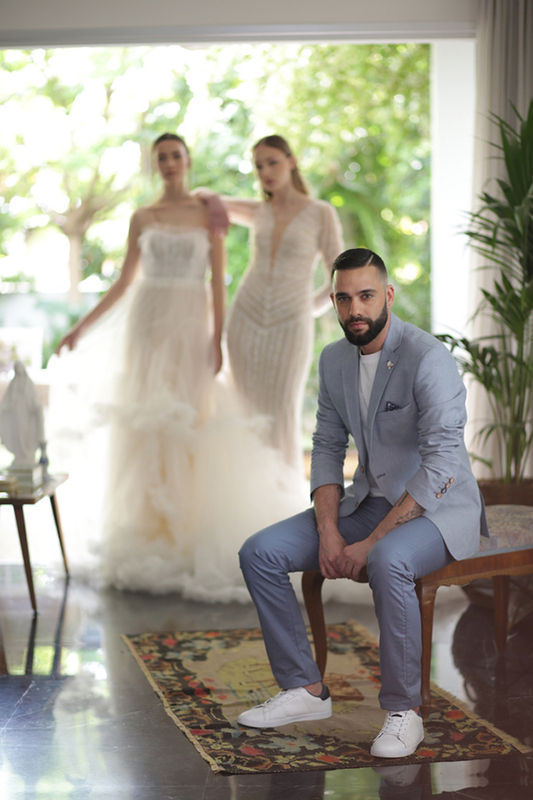 We have fallen madly in love with his gorgeous creations that we have seen in real weddings we have featured and styled shoots and today we get the chance to find out more about the designer and admire wedding gowns from his latest bridal collection! When did you actually know that you wanted to be a designer? “I always had an interest in weddings. In Israel we love having big flamboyant weddings, with lots of guests, throwing big parties going on for few day so I was always interested on this field. When I was much younger I thought I was going to be a wedding planner… But as i was growing and been working with well-known bridal designers as a junior designer i then decided to open my own brand under my name”. 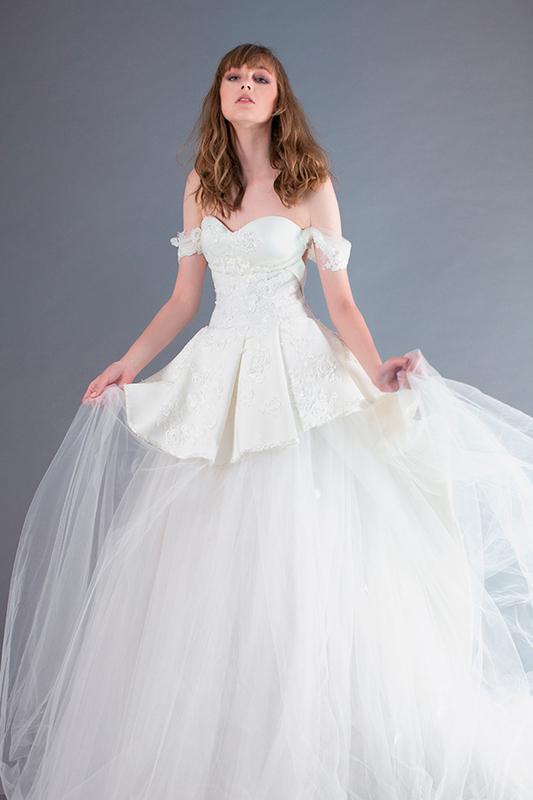 Tell us about your latest amazing wedding dress collection. “The latest collection is all about embracing the female body, loving the dress you are wearing feeling like your dream is finally becoming true! I am keeping my enthusiasm about the mix and match game with the fabrics and new innovating techniques for applications and a more modern way to work with them. There is a dress for every kind of woman who appreciate the couture work that me and my studio is producing for an exceptional work of art. Silk tulle, 3D flowers, a lot of handmade work on top of the fabrics and most importantly one can see the amazing new colors for bridal dresses”! What type of woman you have in mind when you are designing your gorgeous wedding dresses? “Adam Zohar wedding dresses are for women that they are unique in mind and spirit. Women who think outside the box, with a strong character and soft feminine taste. Taking in consideration different cultures, beliefs and personal taste you can explore any shape depending on the aesthetics and beauty .The possibilities are endless .I personally believe as a designer I must have a complete collection for different personalities and body shapes based on my experience and personal taste”. How would you describe the style of Greek and Cyprian brides? “I was very surprised to see that the Greek and Cypriot brides they are very open minded. They understand the couture work of a dress and they love fashion and so do i so we always have a good match”! Where can brides find your beautiful wedding dresses? “In Cyprus at Gala Montenapoleone boutique in Nicosia and Wedding Atelier New York, Panache New York and Beverly Hills , San Francisco, Texas , Miami, London, Dublin Ireland, Hong Kong, Singapore and Melbourne Australia”. Which wedding dress really stood out from your last collection? “Flora… one of the most precious dresses i have made for this collection…A wedding dress that every bride will want to wear on her big day. A one shoulder wedding dress with full handmade asymmetric flowers in a combination with a polka-dot tulle, that gives you a daring feel with a romantic and strong silhouette”. 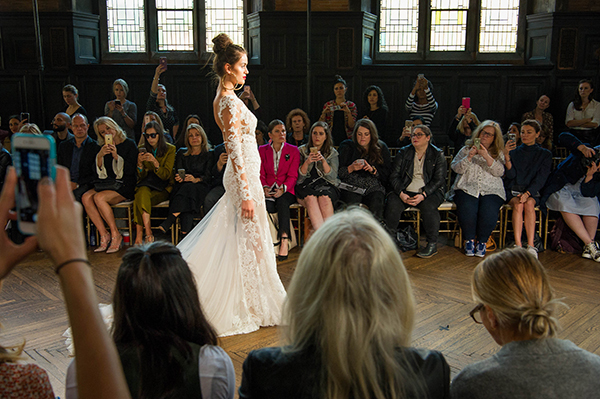 What trends in wedding dresses will we see in 2018? 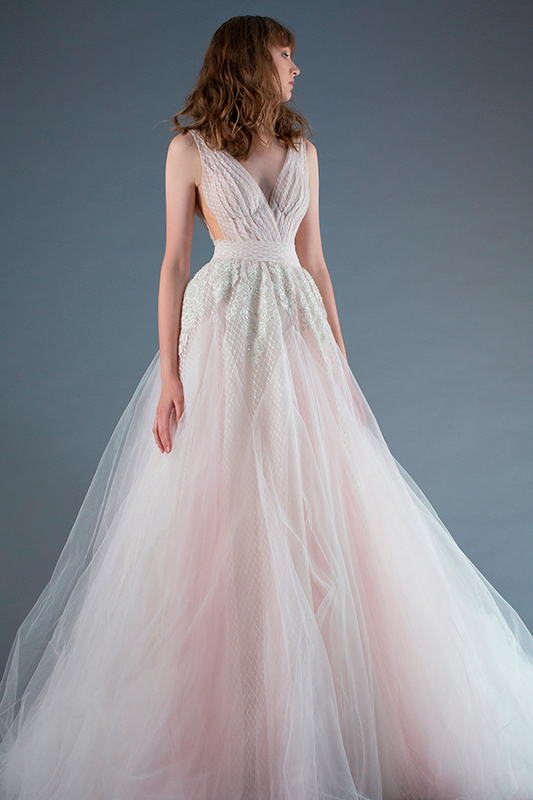 “Color in wedding dresses in a big fashion evolving right now in bridal wear, The shiny tulle is here to stay , and very new ways to use 3d flowers on the dresses and the return of the extra puffy dresses are back in fashion…OW and black details…Back hems, ribbons and flowers are decorating the dresses in 2018”.